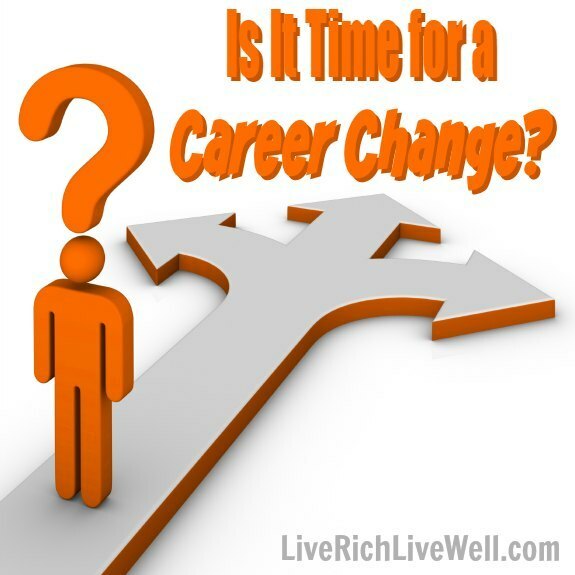 Home › Career, Lifestyle › Is It Time for a Career Change? Gone are the days of getting a job, and then sticking with the same company for 30 years. These days, you’re more likely to change jobs multiple times over your career. Have you hit a dead end with your career? A dead end job that doesn’t allow you to move forward can be frustrating. If you don’t have room to grow as a person in your job, or if there is no possibility of upward movement, you might want to change things up. Many of us like to feel as though there is the chance for promotion, greater responsibility, or personal growth. If you feel as though you are in a dead end job, it might be time to look for a new career, one that will allow you to reach your potential. It’s true that you can take a certain quiet pride in doing a good job, even if you aren’t recognized by your peers. However, at some point you need to feel valued. Studies indicate that many employees don’t necessarily need monetary rewards in order to feel good about their jobs. Even if you aren’t making a ton of cash at your job, you can enjoy it if you feel as though your contributions are recognized and valued. After a while, if no one recognizes your good work, it can be difficult to stick it out with a particular organization. This is an even bigger problem if you aren’t being adequately compensated for your work. If no one recognizes your good work, and if you aren’t being paid enough to make up for it, you should probably consider a career change. There’s a lot to be said about working in an environment that you can relate to, and in an environment where your values are reflected. If you have certain values and priorities, and your company culture doesn’t share those, you can feel uncomfortable and unhappy each time you go to work. It helps to believe in the vision of your employer, and it helps to feel as though you are working at a place that shares your values. What’s even worse is when you think your company might be doing something illegal or unethical. You don’t want to be caught up in that when it comes to light, and you don’t want to feel bad that your work is leading to serious problems in the world. It’s time for a career change when you think that your work is doing more harm than good. Sometimes, a job is just a job. You can get through it when you know that you have other areas of your life that make up for it. However, if you started out with your job feeling good about what you do, and feeling passion, it’s a red flag when you no longer feel that. If going to work used to feel good, but now it feels like a chore, that’s a sign that a career change might be a good idea. While you aren’t always going to feel inspired by what you do at work, and while you will have bad days, if you have more bad days than good, it might mean that it’s time to move on. Not every job needs to last forever. If you discover that you could move forward with a more fulfilling life through a career change, it’s time to update your resume and start looking for better jobs.